Bone Cancer is Very dangerous then other type of cancer. It causes wear and tear of bones and also lead to abnormal growth. It is very painful condition and lead to depression and in such cases, surgical or chemical therapies may not show the required results, which requires proper care and also natural therapies regularly and it should treated at early stage. Some types of cancer run in certain families, but most cancers are not clearly linked to the genes we inherit from our parents. Human bodies have several organ systems and Cells work together to form organs, such as the heart, liver, and skin. Cancer begins when genes in a cell become abnormal and the cell starts to grow and divide out of control. Some acquired mutations can be caused by things that we are exposed to in our environment, including cigarette smoke, radiation, hormones, and diet. When cancer is detected in bone, it most often has started in another organ or somewhere else and then spread to the bones. This cancer that has metastasized to the bone is named for the site where the original cancer began (for example, metastatic prostate cancer that has spread to the bone). Breast, prostate, and lung cancers are among the types of cancers that commonly spread to the bone in their advanced stages. This type of cancer creates cavities in bones called osteolytic lesions, which raise the risk of fracture, cause brittleness. Bone cancer need comprised of both complementary and natural therapies. A proper treatment can help patients with incurable conditions to lead a normal life, alleviate the symptoms, and avert terminal stages by controlling the spread of the disease. Symptoms of Bone Cancer Bone cancer refers to abnormal growth in bone tissues. 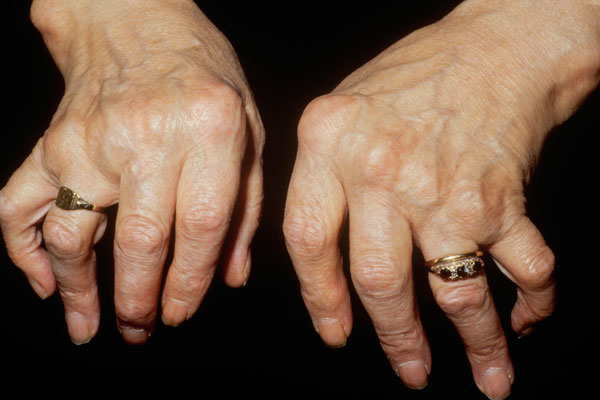 This is an uncommon type of cancer that is caused by neo-plastic growth of tissue in bones. Bone cancer mostly develops in long bones and weakens the structure of the bones. Experts are of the opinion that most bone cancer patients do not notice any symptoms. The symptoms of bone cancer may remain unnoticed for weeks, months and even years all together. Similar to any other kind of cancer, the growing tumour can be detected by touch. The cyst or tumour will be of a small pea size and could be felt in the pain-affected area. This tumour is mostly accompanied by pain but in some cases it is just a painless mass that may go unnoticed Pain in effected bones is frequently present in bone cancer. In the initial stage, only slight pain is present which is experienced while running and walking. However, in the later stages it becomes more persistent and nagging.A person with bone cancer will have nagging and deep pain in the long bones that cannot be connected to any physical injury or known sickness. At times the pain can lead to insomnia. Bone cancer exhausts the organ and makes it difficult to function properly. The bones of children with this cancer become extremely fragile and feel tender. For instance, even a minor fall can lead to a fracture. Be sure to talk to your cancer care team about any method you are thinking about using. They can help you learn what is known (or not known) about the method, which can help you make an informed decision. Your doctor team will be of four to five specialist surgeon, orthopedic oncologist, radiation oncologist, medical oncologist, then for you there will other specialists nurse practitioners, nurses, psychologists, social workers, rehabilitation specialists, and other health professionals. You do not need to worry for anything, entire team will take care of you and you are not alone who is suffering from cancer. There are many who have being treated and cured too. Although natural remedies for bone cancer have no side-effects and have proven to be effective, they can certain herbs which interfere with regular cancer treatments, which successfully amalgamate natural remedies for bone cancer with modern therapies. So every bone cancer patient should inform the doctor about his or her herbal intake during bone cancer treatment to avoid complications. Duration of completely curing bone cancer will take 5 years. Green Tea , Green Tea is known for anti cancer properties. Two cups of green tea regularly basis which help a lot in curing the bone cancer. It fight against unwanted cells. AloeVera, Aloe Vera contains a chemical compound called Aloeride which is known for its anti- cancer properties. Vitamin A, Consume Fruits and vegetables which are rich source of vitamin A like dark green veges, yellow or orange fruits and vegetables. You can consume in form of juice or boiled, proper steamed. broccolie, spinach, carrot, etc. Sweating, Sweating helps in cleansing of the accumulated toxins in the body. Some toxins and pesticides can only be removed through the sweat glands. For more sweating wear lots of clothes, take sauna bath regularly, have warm tea in hot room, eat cayenne pepper. Sweating will help you to remove toxins which is good for bone cancer. Sun Exposure, The UVB rays helps in producing the Vitamin D under the skin which helps in reducing the cell multiplication in bone cancer. Patient has to ensure the generous amount of sun exposure daily early morning which good for body and also for skin. The milk thistle is rich in antioxidant which is a good cure for bone cancer. The cancer patient should also have to consume a lot of distilled water in order to have a good bowel movement . Herbs such as equisetum comfrey, wormwood, yarrow, rosehips, oats, bladderack, blue flag, cat’s claw, reishi mushroom, fermented wheat germ, bupleurum are quite beneficial in treating bone cancer. These herbs can be used as tinctures, dried extracts, or glycerites. Tea can also be prepared by boiling a teaspoon of the herb in water, and wait for twenty minutes before drinking. Other local herbs turmeric and ginger. We can have this herbs in form of herbal tea. Massage, For Bone Cancer massage is good method with olive oil, mustard oil, lavendar oil. This will help in relaxing of pain. Massage seems to ease pain in several different ways. For starters, it can increase blood flow to sore, stiff joints and muscles, which are warmed by the extra circulation. It also triggers the release of natural painkillers called opioids in the brain. Massage may also change the way the brain senses pain. The short, sharp sensations of a good massage can temporarily make the brain forget about other pain. Our body’s pH controls the activity of every metabolic function happening in our body. pH is behind the body’s electrical system and intracellular activity as well as the way our bodies utilize enzymes, minerals, and vitamins. Sodium bicarbonate (Baking soda) is the time honored method to “speed up” the return of the body’s bicarbonate levels to normal. Sodium bicarbonate happens to be one of our most useful medicines treating as it does the basic acid-alkaline axis of human physiology. Sodium bicarbonate is a “nothing-to-lose-everything-to-gain” treatment for cancer as well as the general acid conditions behind a host of modern diseases. It has proved heavy weight workhorse medicine that every healthcare professional and parent should be knowledgeable about and be using routinely. Healthcare practitioners and physicians will gain a new respect when they themselves know, practice and teach people what they can do for themselves at home both before they come to our offices and clinics and certainly when they leave and go back home. We need to empower people to be healthy and take part in recovering from the diseases as early as possible. After completing treatment for bone cancer, you should see your doctor regularly. You may also have tests to look for signs that your cancer has come back or spread. Experts do not recommend any additional testing to look for second cancers in patients without symptoms. Let your doctor know about any new symptoms or problems, because they could be caused by the cancer coming back or by a new disease or second cancer.